Your yard is one of the first things people see when they visit your home. 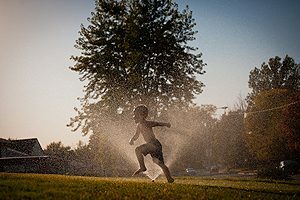 In addition to increasing curb appeal, your yard sprinkler boosts your enjoyment and comfort. A healthy, lush lawn gives your kids and pets a soft area to play on, plus the green grass frames your home perfectly. In order to maintain that type of lawn, you need an irrigation system. Don’t trust your yard sprinkler system to just anybody. Select Commercial Irrigation & Turf for your needs. We have a lot of experience enhancing lawns in neighborhoods just like yours throughout Peoria, Bloomington/Normal, Galesburg and beyond. 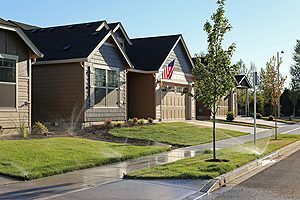 Using the latest in trenchless technology, state-of-the-art tools, and safety equipment, we can safely and efficiently install yard sprinklers Peoria IL neighbors want. Plus, every member of our staff receives hands-on training in installation and construction of yard sprinklers. 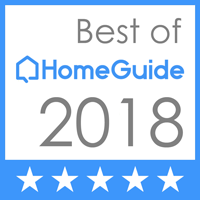 Find out why so many of your neighbors trust us as their local leader in residential irrigation all over Central Illinois. Backed by three decades of experience, we encourage you to experience the Commercial Irrigation & Turf difference. Choose us for consistent, quality initial installation, resulting in top-notch yard sprinkler systems that come with full warranties to protect your investment. Commercial Turf & Irrigation gives you dependable yard sprinkler systems in Peoria IL. Just call us for an estimate and consultation at 309-698-3011 or complete our online form. In conclusion, we are located nearby in East Peoria at 109 Commercial Drive.